A woman was arrested Thursday for allegedly attacking three senior citizens with a baseball bat as they slept in a broken-down car in an empty lot at Pala Indian Reservation. 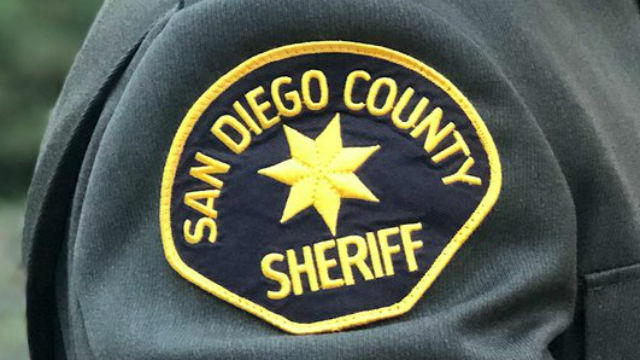 Michelle Cagey-Limon, 32, was taken into custody at her home at Cesar Chavez Circle on the grounds of the North County reservation and booked into county jail on suspicion of elder abuse, assault with a deadly weapon and felony vandalism, according to San Diego Sheriff‘s officials. The victims, who live in the Los Angeles area, had just left a nearby casino when the 2006 Honda Civic they were traveling in got a flat tire on state Route 76 in Pala late Saturday night, Lt. Dave Schaller said. After tribal security officers helped them get the vehicle off the road, the three out-of-towners — two men ages 68 and 71, and a 69-year-old woman — arranged by phone to have a friend assist them, the lieutenant said. They then hunkered down to await that person’s arrival, eventually falling asleep. About 3:45 a.m. Sunday, the suspect and two male companions allegedly pulled up in a 2003 Honda Accord. Cagey-Limon allegedly got out, approached the Civic, yelled at the occupants to “get off my land” and began bashing the sedan with a baseball bat, Schaller said. Startled awake by the violence, the two male victims got out of the car, at which point Cagey-Limon allegedly hit one of them with the bat and punched the other, sending both fleeing for their lives. The assailant then began whacking the car again with the bat, smashing out all its windows and thrashing its body as the older woman cowered inside, according to investigators. When passers-by arrived and intervened a short time later, Cagey-Limon fled along with her cohorts, the lieutenant said. Medics took the victims to Palomar Medical Center in Escondido for treatment of minor injuries and precautionary evaluations. Detectives said they were able to identify Cagey-Limon as the alleged attacker based the victims’ accounts of their ordeal and the suspect’s prior run-ins with tribal police on the reservation. While arresting Cagey-Limon, deputies allegedly found a drug lab inside her home and arrested her boyfriend, 37-year-old Matthew Geyer, on suspicion of possession of a controlled substance, Schaller said. County hazardous-materials crews were called in to handle the cleanup of the narcotics- manufacturing setup.